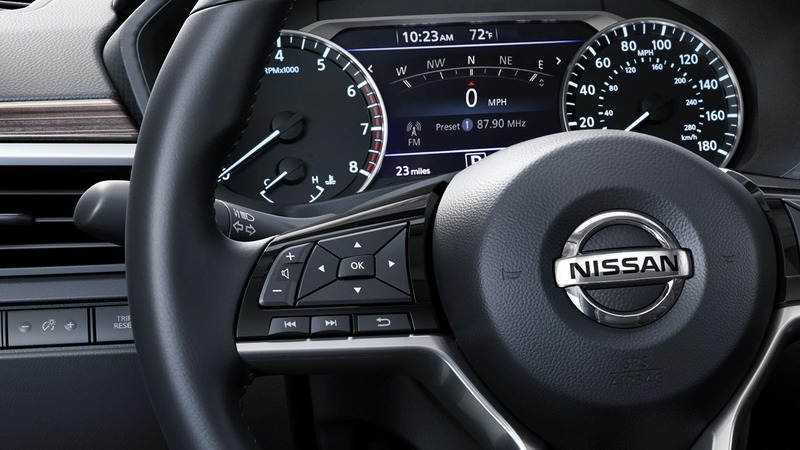 Altima changes your drive forever, thanks to Nissan Intelligent Mobility. With thrilling performance and adaptive capability. This is a sedan like nothing else. Introducing the all-new 2019 Nissan Altima and the exclusive Altima edition one. Reservation begins June 15th. 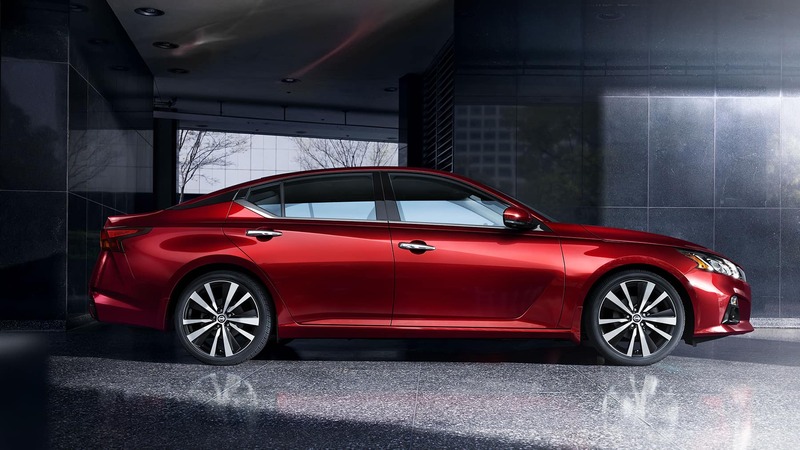 The limited Nissan Altima edition one is equipped with the world’s first variable compression turbo engine (vc-turbo) and premium features for a uniquely exclusive drive. 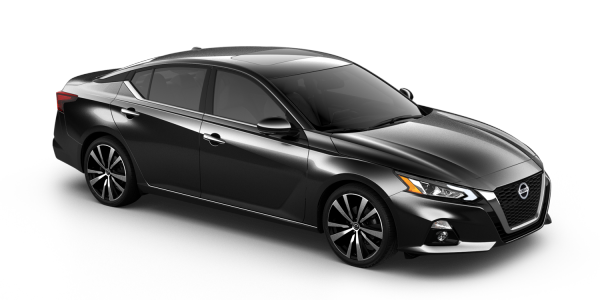 What makes Altima Edition ONE a cut above? There’s big statements like aggressive 19” dark gray aluminum-alloy wheels and rear spoiler, and small touches like Edition ONE illuminated kickplates. 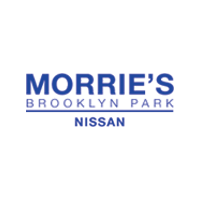 There’s premium features, too, like the Edition ONE Nissan Concierge Service. You’ll gain access to 24/7 live assistance, complimentary for 3 years. Reservations start June 15th. Your professional team of Personal Assistants will be accessible through your Altima Edition ONE display or just a phone call, email, text or click away to ask any question about any topic or to perform any task 24 / 7. With Nissan Intelligent Mobility we’re rethinking driving, technology, and the road ahead. 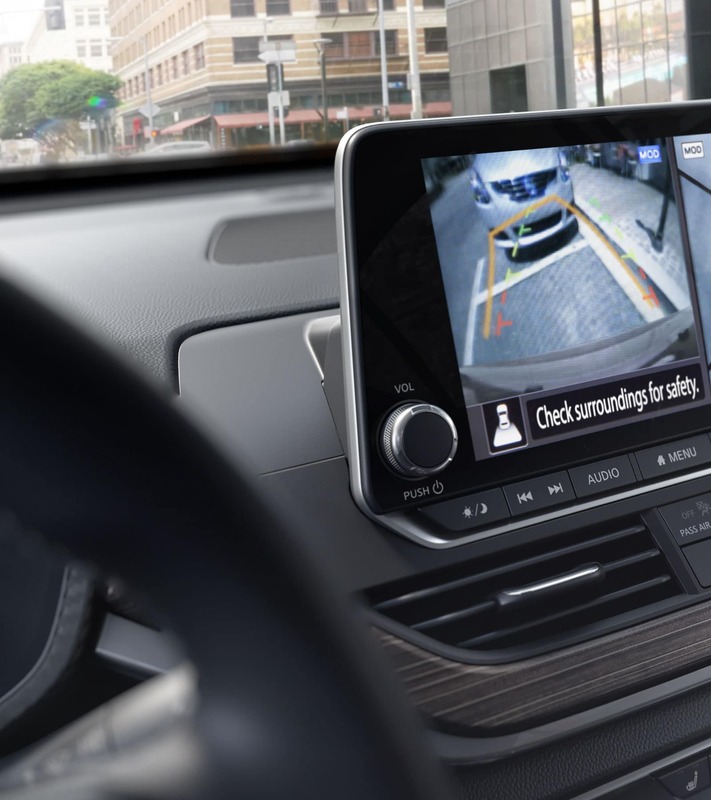 Now the most advanced tech you own is in your driveway. You drive with greater awareness, even getting an assist when you need it most. And you connect like never before – from smartphone, to house, driveway to car, it’s all one. Ready for what’s next? Nissan Intelligent Mobility is changing the way you drive forever, and it’s here for everyone right now. Imagine being surrounded by confidence on every drive. 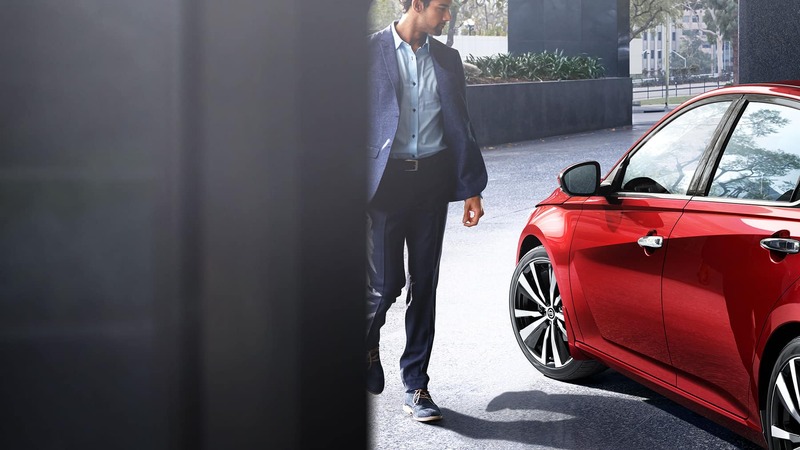 Nissan Intelligent Mobility includes features that monitor in front of you, behind you, and on either side, and can step in to help keep you out of trouble. Standard on trim levels SV and above. Imagine a sedan that anticipates what you want. With the world's first Variable Compression Turbo engine (VC-Turbo), Altima does just that. Over 20 years of research and development produced an engine that only Nissan could create – with power and efficiency like never before. 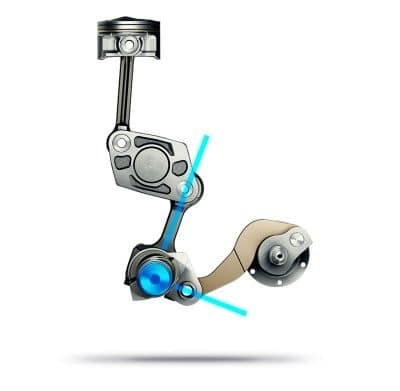 When you press on the gas, the piston moves to produce a lower compression ratio. Similar to when a sprinter crouches to launch off of the starting line, it results in higher performance from this mighty 4-cylinder turbo engine. 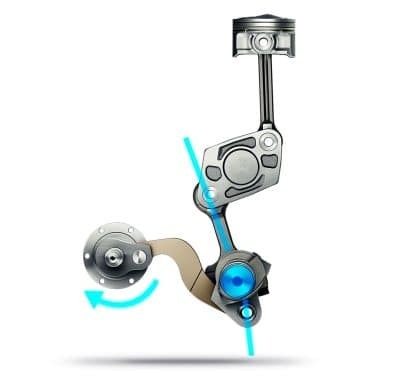 When you cruise at lower speeds, the rotating assembly transforms to produce a higher compression ratio. And like the more relaxed stance of a long-distance runner, it conserves energy and helps improve fuel efficiency. Imagine a sedan that gives you the kind of all-weather capability you usually expect from an SUV. 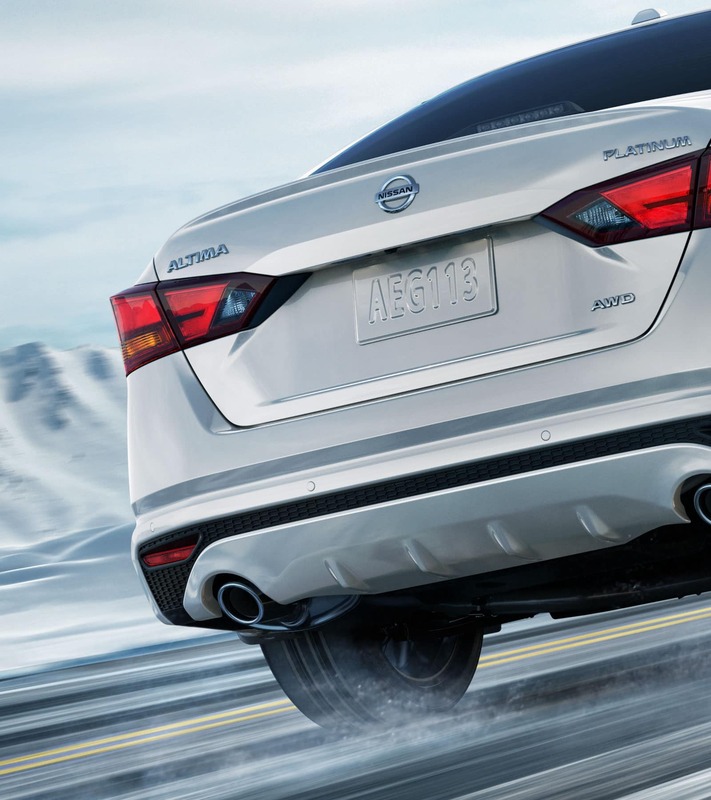 Altima’s Intelligent All-Wheel Drive system continuously monitors road conditions and responds to changes in an instant. Snow or rain-covered pavement, this system automatically sends power to the wheels with the best traction for a more confident drive. Who decided that a sedan couldn’t stir something inside of you? Blow past complacency with Altima’s exciting, forward-thinking design. Deep, cutting lines flow from front to back, blending seamlessly into the new muscular hood. 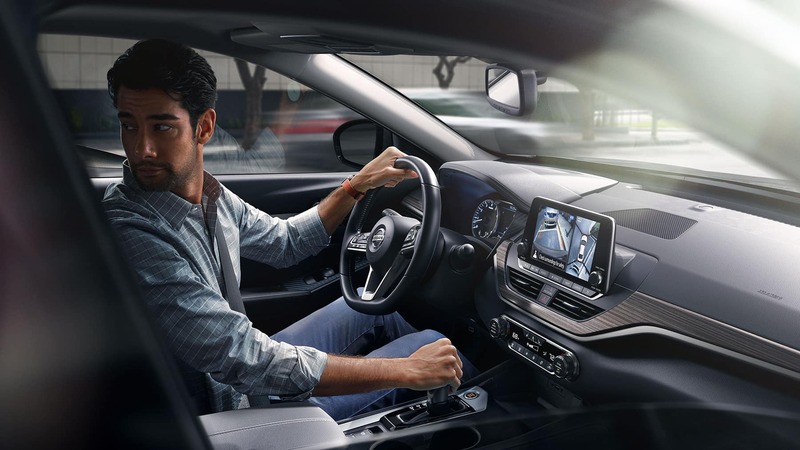 While an available premium leather-appointed interior puts comfort and convenience at your fingertips. Enjoy technology so intuitive, it feels tailor-made for you. Like a cabin that knows and activates your favorite settings before you even get in. Or instant connectivity with your device and wider world. Add premium audio that sets the tone and you’ll wonder how you ever did without it. 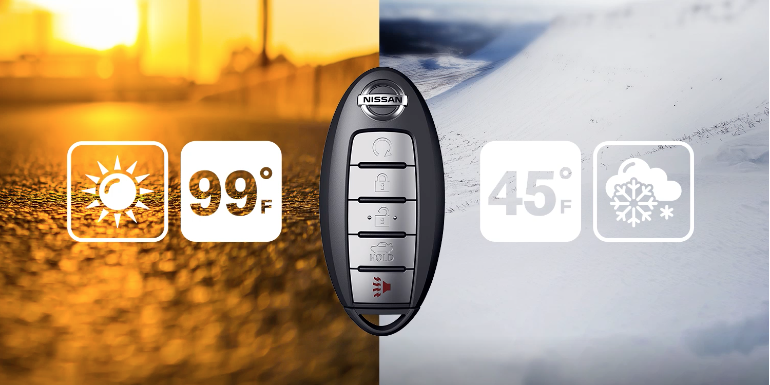 Altima’s heated front seats have a newly redesigned heating sequence to get you to “cozy” quicker, and help keep you there longer. A heated steering wheel keeps your hands toasty on cold mornings, which means your driving gloves will finally see the inside of a glove box.